A Aa is romantic comedy Indian Telugu film. It was released in 2016. 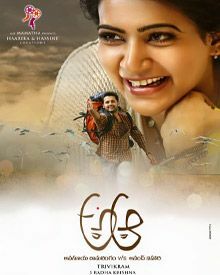 Nithin, Samantha Ruth Prabhu played lead roles. Srinivas Avasarala, Anupama E , Parameswaran, Naresh, Nadhiya, Ananya, Rao Ramesh, Ajay, Srinivasa Reddy, Easwari Rao played supporting roles. It was directed by Trivikram Srinivas and produced by S. Radha Krishna. Music composed by Mickey J Meyer.